One of the reasons chia seeds has become so popular is because with chia seeds, you can easily make very healthy desserts. Let’s be honest – “healthy” might sound boring, but “healthy dessert” has a whole other ring to it. 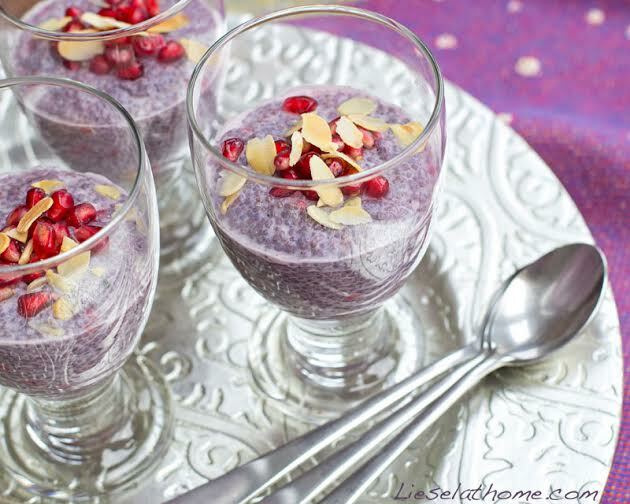 And because these trendy chia puddings are so healthy, you can actually eat them for breakfast. Dessert for breakfast? And still be healthy? Yes indeed and it’s all thanks to the fantastic chia seed. When you eat breakfast you should aim for plenty of protein and good fats as this will keep you going for a long time. Chia seeds are high in both, and has a very high content of fiber. Mix this with coconut milk and berries or cacao powder and you have a great start to your day. Not to mention; a delicious start! 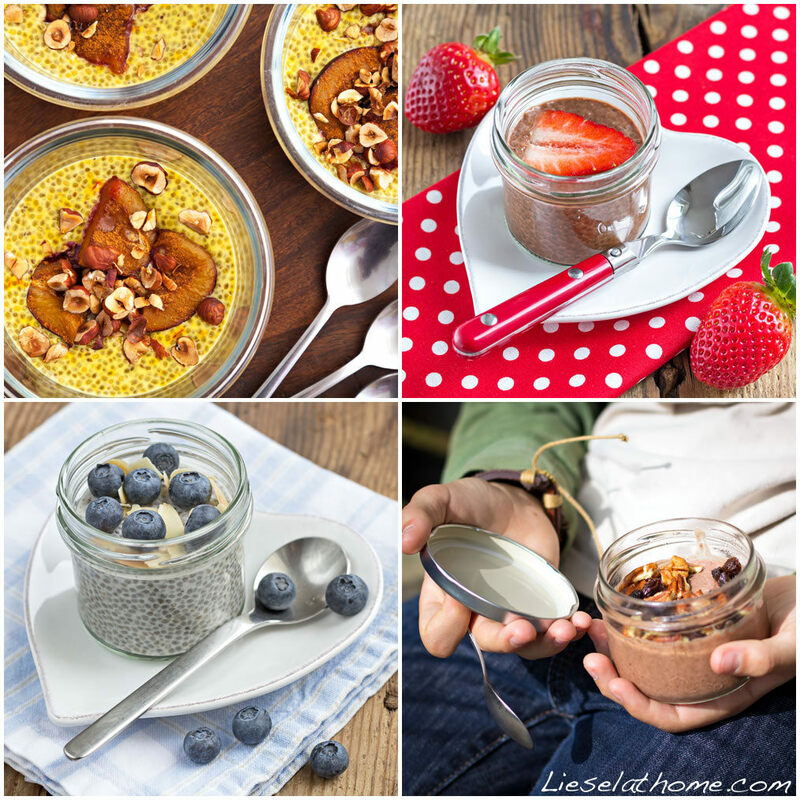 And the very best part – you can prepare the chia pudding in the evening and just grab it on the go in the morning. Perfect for reducing stress in the early hours. An insider tip here is to hand your teenager a jar (with lid) of chia pudding as they leave the house and you know they have a healthy and delicious snack available when hunger hits them. 200 ml (0.8 cup) berries – blueberries or raspberries, or a mix of both! optionally 1 tbsp. maple syrup or honey to sweeten. Mix all ingredients in a bowl and leave to swell for about 20 minutes, stirring every now and then. Then fill glasses, jars or bowls and place in the fridge until you are ready to eat them. You can top them with berries, nuts, seeds already now and place a lid on to have a ready to go snack easy available.